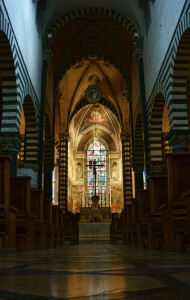 The Duomo of Prato | Che Bellezza! 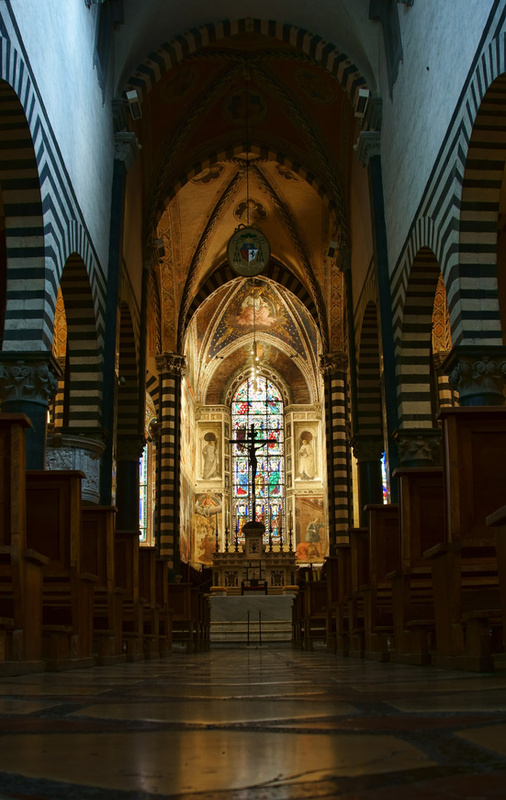 Would you like to discover the treasures held inside the most ancient and important church of Prato, even if you have little time on your hands? This 1 hour tour is perfect for you! Your guide will lead you to discover the beautiful Santo Stefano Cathedral, the Duomo of Prato, a splendid example of Romanesque-Gothic architecture, with its distinctive white and green two-coulored facade: the limestone rock and the green marble (called “serpentine” marble) have been the typical materials of Prato’s architecture since the 15th century! 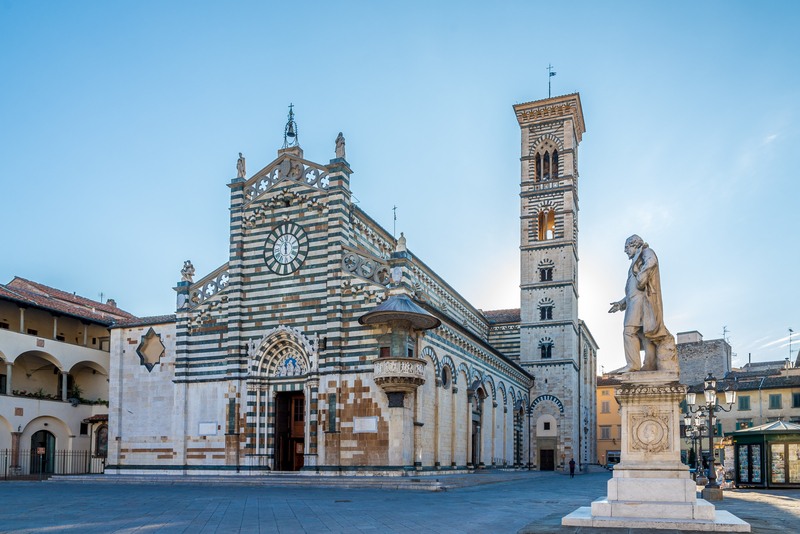 The wonderful external Pulpit, designed by the great Michelozzo and Donatello, is an unmatched architectural and sculptural masterpiece: it’s still used for the exposition of the Holy Belt (Virgin’s Girdle), important Marian relics, much venerated by Prato’s citizens. These precious relics are kept inside the Holy Girdle Chapel, frescoed by Agnolo Gaddi and protected by a wonderful bronze gate. 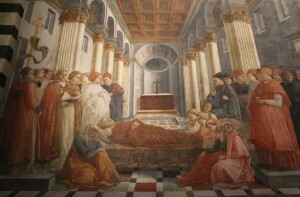 The Cathedral houses beautiful ancient and modern works of art: important sculptures by contemporary artists such as Robert Morris and Joseph Spagnulo, cohabit with beautiful Renaissance works, like the magnificent frescoes painted by Filippo Lippi inside the Main Chapel, in a mix of ancient and contemporary that will seduce you!